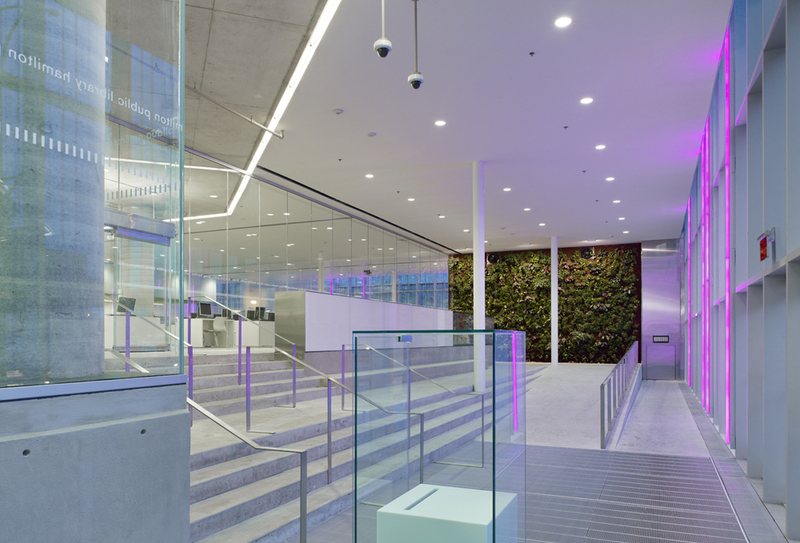 This major renovation in downtown Hamilton rejuvenates the existing facility through the reorganisation of both program elements: the first two stories are re-clad in glazed curtain wall while an addition is placed at the northwest corner to reconfigure the main entry. 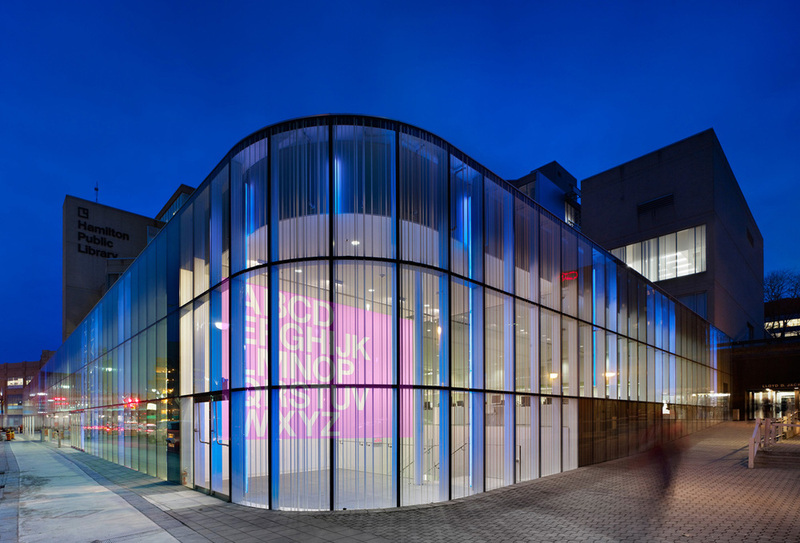 The resulting transparent, glowing, horizontal slab reconnects the library to the market and to the new street edge, projecting the life and vitality of the library and market the city and its inhabitants. This project was completed as an association between RDHA and local Hamilton firm dpAi, with Tyler Sharp acting as Design Architect for the project.